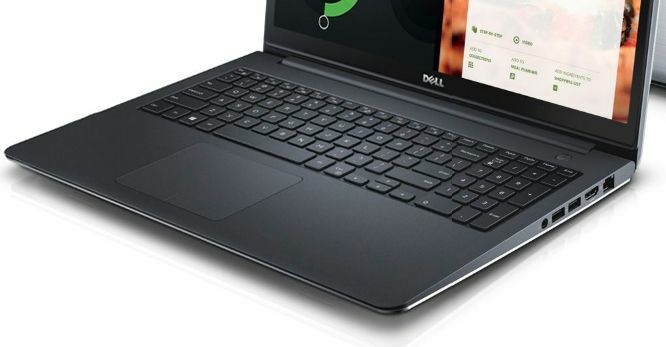 Minimalistic but fascinating, yes we are talking about new Dell Inspiron 5547. If you would like to purchase a laptop which has sleek and stylish design and some decent gaming capabilities, you should choose Dell Inspiron 5547 because you cannot have better option than this in this price range. It may be not as flashy as other laptops are but this machine upholds the legacy the Inspiron series. This powerful laptop is equipped with dual core Intel Core i5 processor which can clock up to 1.7GHz when performing at its peak. You can work seamlessly on your Dell Inspiron 5547.